1891 edition of her magazine “Lucifer”, pages 62-63.
meaning of the word has been distorted by superstitious theologians. 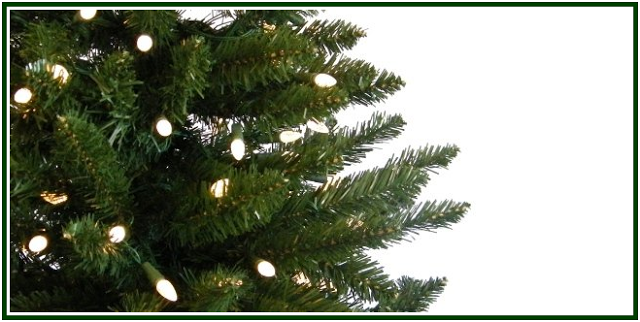 The custom of the Christmas tree is a very recent institution. It is of a late date not only in Russia, but also in Germany, where it was first established and whence it spread everywhere, in the New as well as in the Old World. In France the Christmas tree was adopted only after the Franco-German war, later therefore than 1870. According to Prussian chronicles, the custom of lighting the Christmas tree as we now find it in Germany was established about a hundred years ago. It penetrated into Russia about 1830, and was very soon adopted throughout the Empire and the richer classes. It is very difficult to trace the custom historically. Its origin belongs undeniably to the highest antiquity. Fir trees have ever been held in honour by the ancient nations of Europe. As ever-green plants, and symbols of never-dying vegetation, they were sacred to the nature-deities, such as Pan, Isis and others. According to ancient folklore the pine was born from the body of the nymph Pitys (the Greek name of that tree) , the beloved of the gods Pan and Boreas. During the vernal festivals in honour of the great goddess of Nature, fir trees were brought into the temples decorated with fragrant violets. The ancient Northern peoples of Europe had a like reverence for the pine and fir trees in general, and made great use of them at their various festivals. Thus, for instance, it is well known that the pagan priests of ancient Germany, when celebrating the first stage of the sun’s return toward the vernal equinox, held in their hands highly ornamented pine branches. And this points to the great probability of the now Christian custom of lighting Christmas trees being the echo of the pagan custom of regarding the pine as a symbol of a solar festival, the precursor of the birth of the Sun. It stands to reason that its adoption and establishment in Christian Germany imparted to it a new, and so to speak, Christian form. Thence fresh legends - as is always the case - explaining in their own way the origin of the ancient custom. We know of one such legend, remarkably poetical in its charming simplicity, which purports to give the origin of this now universally prevailing custom of ornamenting Christmas trees with lighted wax tapers. Among others the olive tree that grew at the entrance of the cave of Bethlehem brought forth its golden fruits; the palm offered to the Babe its green and shadowy vault, as a protection against heat and storm; alone the pine had nothing to offer. The poor tree stood in dismay and sorrow, vainly trying to think what it could present as a gift to the Child-Christ. Its branches were painfully drooping, and the intense agony of its grief finally forced from its bark and branches a flood of hot transparent tears, whose large resinous and gummy drops fell thick and fast around it. A silent star, twinkling in the blue canopy of heaven, perceived these tears; and forthwith, confabulating with her companions – lo, a miracle took place. Hosts of shooting stars fell down, like unto a great rain shower, on the pine until they twinkled and shone from every needle, from top to bottom. Then trembling with joyful emotion, the pine proudly raised her drooping branches and appeared for the first time before the eyes of a wondering world, in most dazzling brightness. From that time, the legend tells us, men adopted the habit or ornamenting the pine tree on Christmas Eve with numberless lighted candles.